In the UK, my pig memoir gets a fresh new jacket and title for the paperback. No more stunt pigs on the cover. Just Butch and Roxi, a line up of wellies and the kind of lawn I can only dream about. 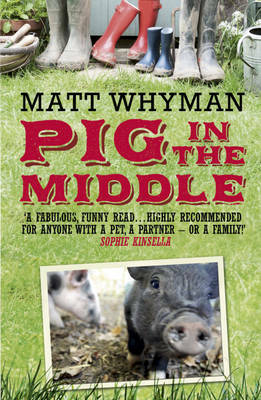 Pig in the Middle is published on October 13th by Hodder & Stoughton.